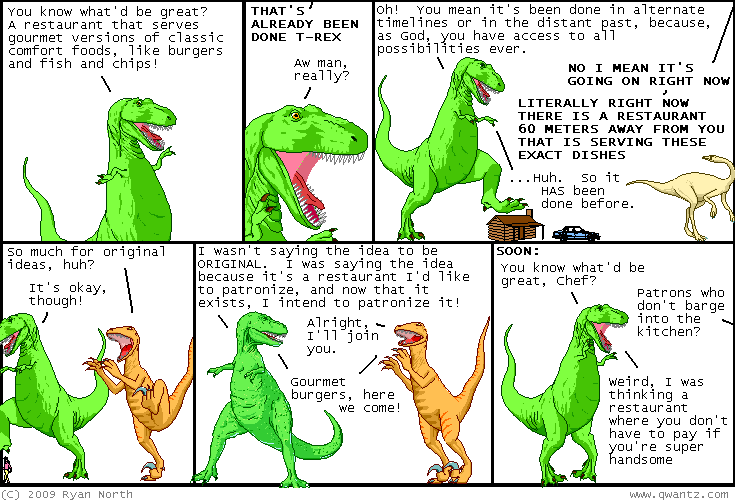 Dinosaur Comics - November 24th, 2009 - awesome fun times! One year ago today: dear audio diary! this afternoon was that library thing, but this EVENING found me playing paddycake with a monkey. nice.